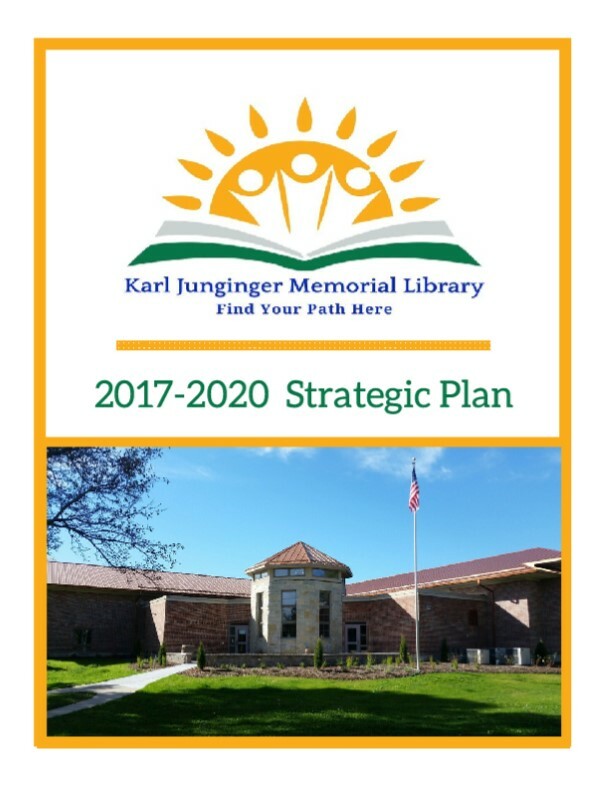 Over the course of several months, the Karl Junginger Memorial Library worked with its community, through questionnaires, surveys, and conversations in order to craft a strategic plan that included the voices of those the library serves and meets the needs of all its community members. This plan aims to align the goals and work of the library for the next several years with the needs and wishes of its community, from students, to parents of young children, to the business community and to new residents of Waterloo and the surrounding area. The fact that the community is at the heart of this plan should be no surprise as the library has been at the heart of the community since its founding in 1868, less than a decade after the formal creation of the town of Waterloo. The Library Board formed a sub-committee to work with the library director and staff in order to create this strategic plan. In order to facilitate the process, a consultant was hired. The strategic planning committee collected and reviewed comparable data incorporating library usage statistics and annual report data, gathered input from a community-wide survey, made available in both English and Spanish, garnering 125 responses, and held a half-day plan development meeting with members of the strategic planning committee, the library director and staff, in order to bring together all of the gathered information to identify the Library’s current needs and future directions. The purpose of this plan is to assist the Library, its director, its staff and its board to prioritize work based on the needs of the community and the resources available to the staff. It has been drafted to allow the library flexibility as resources and priorities are apt to change, but the goals of the library will always align with the goals of the community, the library’s mission, and the foundations of this plan. We sincerely appreciate all the community members who contributed to this strategic plan. We are especially thankful to those that responded to the survey, educators in our community who also responded so thoughtfully to our questionnaire and those that joined us for incredibly helpful conversations about our community and our library. We would like to particularly thank Shawna Stevenoski and Kristen Klein for their assistance in helping us to bridge the language gap and bringing the voices of our Spanish speaking community members into this plan. The following individuals dedicated their time and their ideas to this process and have been responsible for creating the path forward for our library. We thank them sincerely. Lastly, the library would like to thank Melissa McLimans and Bruce Smith from WiLS (Wisconsin Library Services) for providing planning process management and facilitation services to develop our strategic plan. The reputation of the Karl Junginger Memorial Library is positive and strong in Waterloo and the nearby area. The staff are praised for being incredibly helpful, and the library offers an incredible and sometimes surprising number of resources. 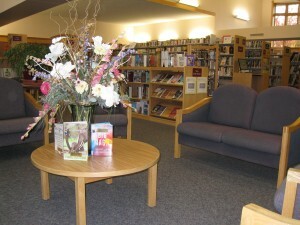 The location, near the Public School and Firemen’s Park, makes the library a desirable place to visit, the large parking lot makes it easy for community members to make a stop, and the modern community room is a popular feature, allowing civic groups, educators, and community members to gather. This strong reputation, excellent location, and space for people to come together positions the Karl Junginger Memorial Library well as it looks to align their goals and work with the changing needs of the community. The shifting demographics of the city of Waterloo present some of the bigger challenges and opportunities for the library. The downtown is not as vibrant as it once was, there have been job losses and it has proven difficult to draw new businesses to the city and visitors to local establishments. Further, the business community has indicated that they are having difficulty hiring and retaining employees with skills that they need. Additionally, there is a significant migrant population, mostly Hispanic workers, who work at the local nursery for half the year and then move. Many of these households have non-English speakers and/or have children that speak English while parents may not. • There is a new wave of people coming to Waterloo and changing the overall dynamic, and this change was viewed positively, though people recognized that as new people relocated to the town, there was little to welcome them and help them learn about community. • There is a strong sense of civic pride, but it is difficult to get people engaged in civic/community work. There may be opportunities for the library to have a role in building community engagement. • It is important for Waterloo to attract (and keep) new businesses and build relationships with existing businesses. • The workforce in Waterloo needs improved skills for all sorts of work, even lower wage jobs. • Welcoming and integrating Hispanic community members was viewed as necessary and desirable. • Attendees of the conversation only used the library for the English language class and many did not know the basics about what the library offered or why they might want to use its resources. • Language (Hispanic community members not speaking English and library staff not speaking Spanish) was clearly a point of division. • Just as the Spanish speakers hoped to learn English, most of the English speakers hoped to learn Spanish, indicating a potential opportunity. • The non-English speaking community members are not receiving communications about events and opportunities at the library or in the larger Waterloo community. This seems to have resulted in a sense of lost opportunity and in some cases isolation. • Communication efforts cannot simply be a translation of the English versions if they are to be successful. The changing demographics of Waterloo of course mean changing demographics for the Karl Junginger Memorial Library. ESL programs at the library have been well attended, but there is room for the library to explore further community partnerships to reach currently underserved populations. Additionally, the library is now part of the Bridges Library System (formerly Waukesha County Federated Library System), giving the library access to CAFÉ, a larger shared collection accessible online where patrons can request materials from 24 libraries in Jefferson and Waukesha counties. Membership in Bridges also opens access to a number of other resources that may be useful to those seeking new job skills and opportunities to grow as well as opportunities for Karl Junginger Memorial Library to work with other libraries and Bridges staff to learn how to best serve the Hispanic population in their community. Circulation is low in comparison to other libraries in the Waterloo’s school conference and DPI statistics show that Karl Junginger Memorial Library’s circulation numbers are lower than nearly all libraries in communities of a similar size throughout the state. Over the past five years, the percent decrease is similar to other libraries, but the overall number is substantially lower. However, ILL to the library is much higher than other libraries. E-book use follows the same pattern as print circulation, showing a lower number of use than other comparable libraries. Visits to the library have also seen a decrease over the last five years and while this is a pattern seen at comparable libraries, the decrease has been higher at Karl Junginger Memorial Library. However, while overall visits are down, programming attendance is on the rise and this despite the fact that fewer programs are offered. 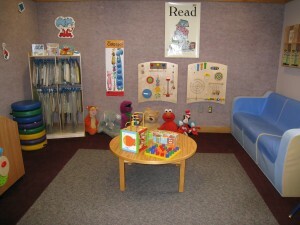 In fact, children’s programming received several compliments on the library’s Facebook page. Young adult programming has also seen an increase in terms of programs offered and attendance and the increases seen in Waterloo outpace comparable libraries. Drop-in programming and the summer lit programs are consistently well attended. These are clearly successes to be built upon. The Karl Junginger staff not only strives to understand their communities’ collection needs, they work to keep on top of technology trends and learn what people in Waterloo need from the library. From in-person tech support (the library currently hires out for technology support) to facilitating a skill set change for staff, technology is a key area to explore. Wi-Fi and computer use were shown, in both the survey and community conversations, to be very important aspects of the library. Use of space is also important and the library understands that many in the community are looking for an appealing, comfortable space to read, relax, and enjoy themselves and that the library needs to have multiple uses for the wide variety of patrons that visit. 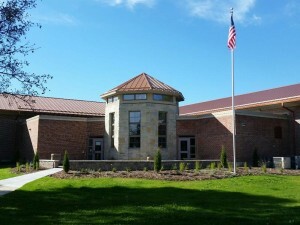 The Karl Junginger Memorial Library’s reputation, attractive and accessible space, motivated staff and ability to modify the physical space positions the library well as a community gathering space, but the library staff’s programming skill and understanding that they are not reaching the entire community also means the library is well-positioned to redefine what library means by exploring new outreach possibilities and uses of the library. In a world of rapidly changing technology, the Karl Junginger Memorial Library will provide access and training for devices, programs, and tools to meet the various information needs of the community. • Improving, and keeping at exceptional levels, the library’s technological infrastructure. In particular, the wireless network. • Focusing on staff development related to equipment and software so that they can pass along their knowledge to library patrons. • Promoting access, resources and learning opportunities available at the library. • Providing technology for people to use. The Karl Junginger Memorial Library will provide comfortable and inviting space for leisure, technological access and work, now and into the future. • Improving the comfort of furniture. • Evaluating the design of the website as the virtual space of the library. • Improving in-library communication systems by researching and implementing a Public Address (PA) system. The library will set about doing the hard work of community coordination, acting as an ambassador not just for the library, but for the larger Waterloo community. • Providing support, such as training and time, for staff to engage and share with community to develop the above activities. The Karl Junginger Memorial Library will seek intentional interaction through educational, language and cultural exchanges that will encourage Hispanic members of the community to more fully use the library and feel safe and truly part of the larger Waterloo community. As a cornerstone institution in the community, beyond being a place that welcomes new residents to Waterloo, the library is a place that provides opportunities for all to reach for their aspirations. Through resources and programs that grow cultural awareness and build community connections the library sees the diversity in our community as an asset who enriches the lives of all that call Waterloo home. • Working to have someone that speaks Spanish on staff, either through hiring or providing current staff with language learning opportunities. • Connecting with leaders from the Hispanic community and forming an advisory panel. • Facilitating a language exchange, where conversational Spanish is taught, preferably by members of the Hispanic population, to interested community members. • Reaching out to the Bridges Library System and library peers and other organizations to collaborate and coordinate efforts. • Connecting to businesses and agricultural community that may have similar desires to serve and work with the Hispanic population. • Purchasing bilingual materials for school age kids. • Teaching and communicating in a culturally appropriate manner how to use the library and share what is available, always considering literacy levels. The Library will provide diverse opportunities for learning, engagement and exploration for all community members. • Hosting events that appeal to different segments of the population. • Offering programs outside the building, including partnering with the school and/or other libraries. • Evaluating marketing strategies to promote what the library offers. • Leveraging all programming and marketing opportunities available from the Bridges Library System. o Connecting with the school advisors to let them know about job seeking tools at the library. • Developing programming to inform the teachers about library resources and what library can do for them. • Regularly evaluating the impact of the above efforts on circulation and working to develop strategies to drive circulation, including approaches to collection development. • Investigating remote checkout options at internal programs and when out in the community. • those that can easily be implemented to move toward a goal. Each year, the library will develop action plans for that year’s priorities. These action plans may include staff responsibilities, timelines, needed resources, data and information gathering for measuring progress and impact, and determination of how and when assessments of progress will be made, and how success or progress will be communicated to stakeholders. Annually, the library director and board will ask for input from staff and will gather and analyze information learned during the previous year’s efforts, in order to conduct an annual plan assessment. This assessment will determine if service goals need any adjustments based on changing conditions or new challenges and opportunities, and will identify and prioritize the activities that the library will focus on in the coming year. The timeline for setting a calendar of when progress and assessment will be communicated to the board and when the annual review of service goals and prioritization of activities will be done will be determined by the director and board based on the library budget development timeline.